Dr. Bruce McKern joined CEIBS in March, 2011 as Professor of International Business. Dr. McKern was the Director of the Stanford Sloan Master's Program in the Stanford University Graduate School of Business from 2001 to 2007. At Stanford he taught International Business, Global Context of Management, the Sloan Leadership Seminar and New World Global Business. He is currently holding an appointment as a Visiting Fellow at Stanford University's Hoover Institution, where he is researching the strategies of emerging multinationals. 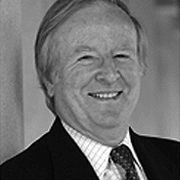 Dr. McKern gained a BE in Chemical Engineering with Honours at the University of Sydney and a PhD in International Business at Harvard University. His research interests focus on the strategies of international corporations. He is an authority on the international minerals industry and the author or editor of eight books including Transnational Corporations in the Exploitation of Natural Resources (United Nations and Routledge, 1993) and Managing the Global Network Corporation (Routledge, 2003). He has published in academic and professional journals on multinational enterprise, industrial development, and international business, and is the author of a number of recent case studies in the field of international business, distributed by Stanford University and the Harvard Business School. Dr. McKern has been a Visiting Professor at INSEAD, IMD, other European and U.S. management schools and the Chinese Academy of Social Sciences. He has served as a consultant to the United Nations and OECD, as a board member of the National Gallery Society of Victoria, the Australian Government’s National Multicultural Advisory Council, and a member of the Ministerial Inquiry into Postgraduate Education in the Australian Defence Force. Dr. McKern holds a part-time appointment as Professor of International Business at the University of Sydney, where he directs the Silicon Valley Module of the University’s Executive MBA Program and the United States Studies Centre's Research Program on Innovation.